Not because of what it is but how it was made! Recently we custom designed and constructed two semi automatic machines destined for production lines in China, yes that’s right we are exporting machines to China from NZ! The machines we recently built have virtually no machined components (excluding those that are “off the shelf” like motors and pneumatic valves for example). Instead 3D printed plastic and metal parts combined with laser cut frame components have been utilized. In a past career I was Engineering Manager in a large corporate with a team of tool makers and maintenance engineers to get things done. We designed and made semi-automated assembly lines for high volume manufacturing, so being in a position to know the difference in manufacturing methods I have to say I’m so impressed with way way these machine come together and I estimate the time and cost would be half of what it was with traditional manufacturing. In the picture above, this little folk has a special profile on the end for the application, it would be OK to machine this but not and easy job, this part was printed in Titanium giving us exactly what was needed at a lower cost than machining. 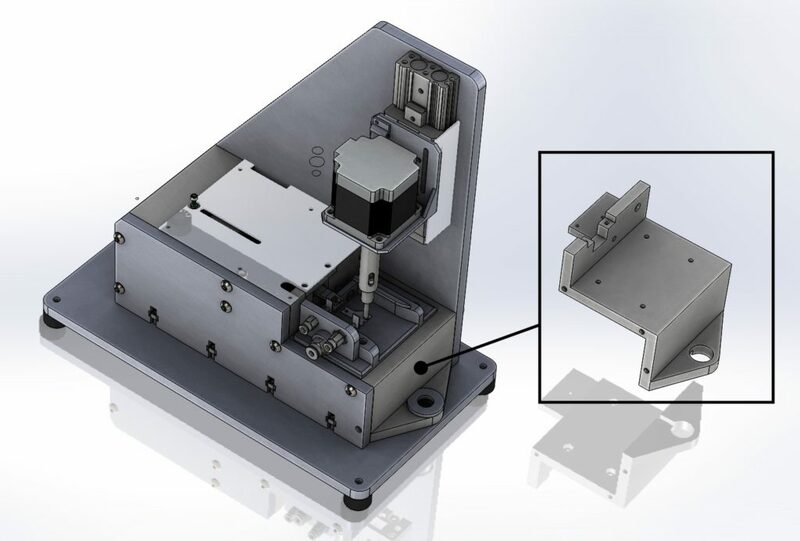 In another example above can be seen a component that was made in one piece on one of our printers, it has multiple mount holes and a bracket on the back for mounting a micro-switch. If this was CNC machined it would have been made by combining a number of flat components to save machining time and materials. Think about this… for machined components the drawing is more complex as more components need to be made and there is extra design time that goes into the way it will be made. Now when it comes to assembling the parts it is more time consuming. Compare this to the 3D printed one piece component that takes less time to think about, less time to draw, make and assemble. Honestly it was a pleasure to put this machine together, things just lined up fitted and worked. 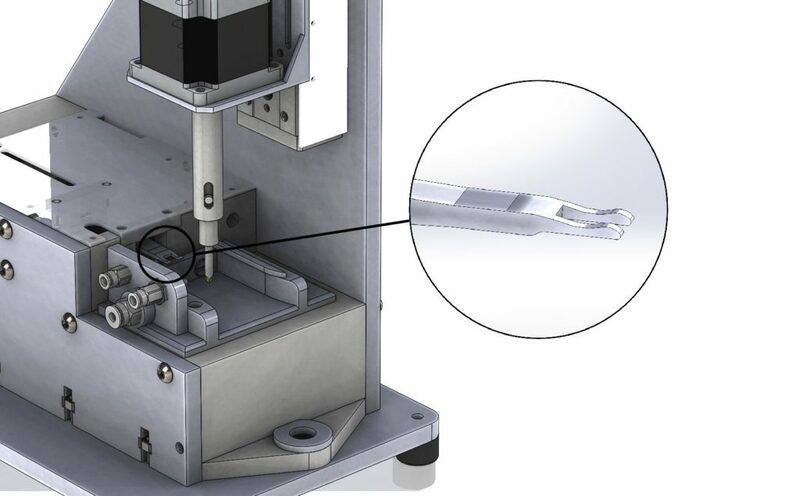 Next time you design what about designing parts for 3D printing? We can help with 3D printed componentry, design advise for parts intended for printing and even complete turnkey solutions.